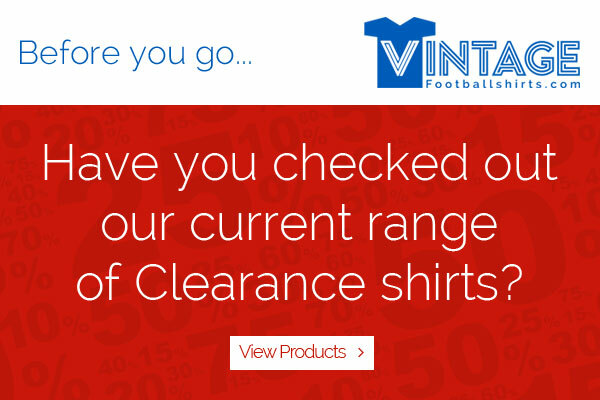 Founded in 1899 as Boscombe FC, the club was a far more different to the side know today. 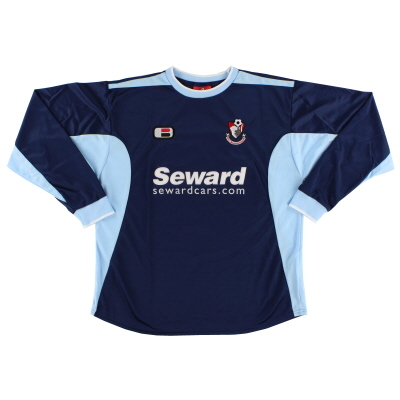 The original colours of the Cherriers looked much more familiar to those supporters across the Hampshire border at Southampton, with red and white stripes the original colours with navy shorts and socks. This was worn with varied experimentation until 1936, where a red base and white sleeves was adopted, much like the traditional home shirts worn by Arsenal both then and now. These red variations stuck around until 1970, where the colours we know and love today were finally adopted. 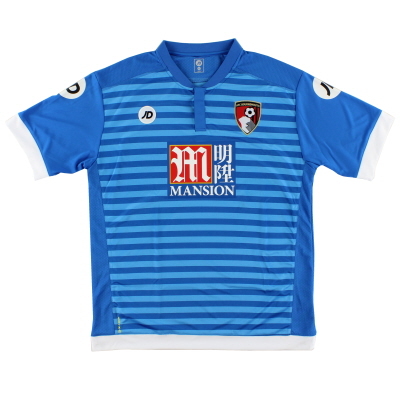 The black and red stripes alongside black shorts and socks was now officially the home strip of the side known as AFC Bournemouth, at least for four seasons. As the Cherries sealed their first kit deal with Umbro in 1974, more experiementation began with a red base and black stripe down the left side of the shirt. All red designs followed with suppliers adidas. 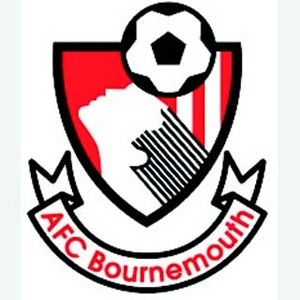 It was with them in 1980 that the first sponsor was seen on a Bournemouth shirt, Reg Haynes Toyota who sponsored them from 1980 to 1982 and 1983 to 1985. 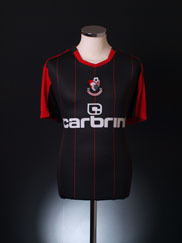 The black and red returned in 1990 where it more or less remained until this day with slight changes in of stripes. Since promotion to the Premier League, people worldwide can pick out the Cherries with ease.